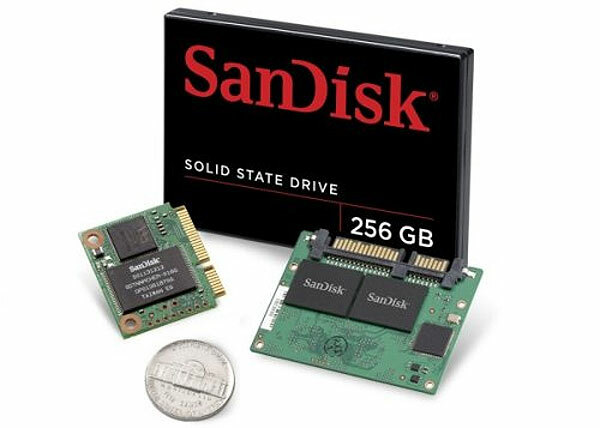 SanDisk have just unveiled their latest fourth generation solid state drives named the G4 and P4 designed specifically for the laptop market. SanDisk say that the new drives have been created specifically to offer a unique balance of performance, high-capacity storage and long-term reliability. The G4 solid state drives will be available in capacities of upto 256 GB and The P4 will range from 8 GB 220 GB and are expected to hit the OEM market in the third quarter of 2010.The G4 SSD has 220MB / sec read speeds and 160MB / sec writes.